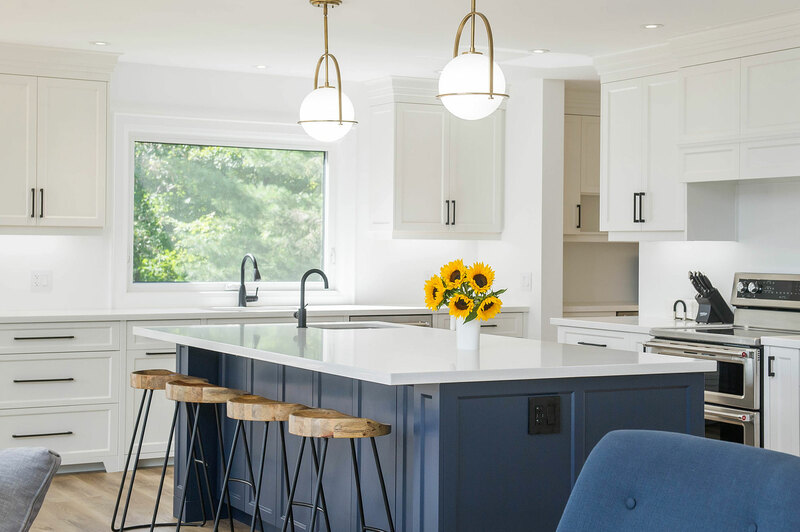 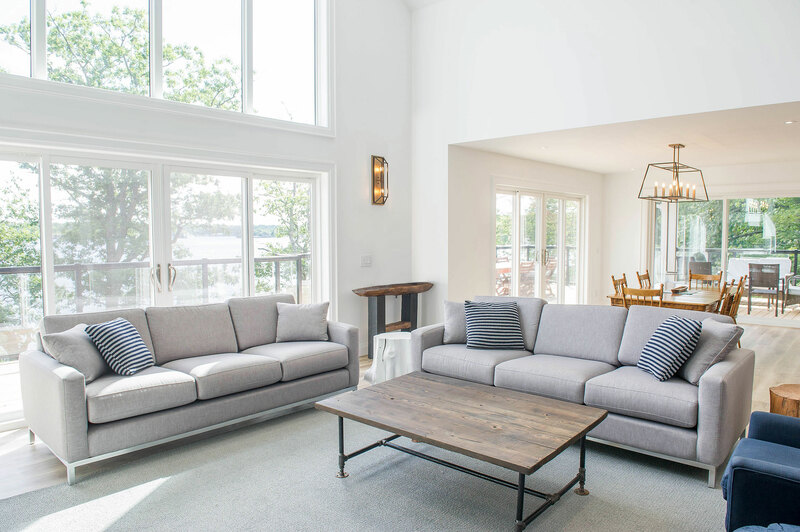 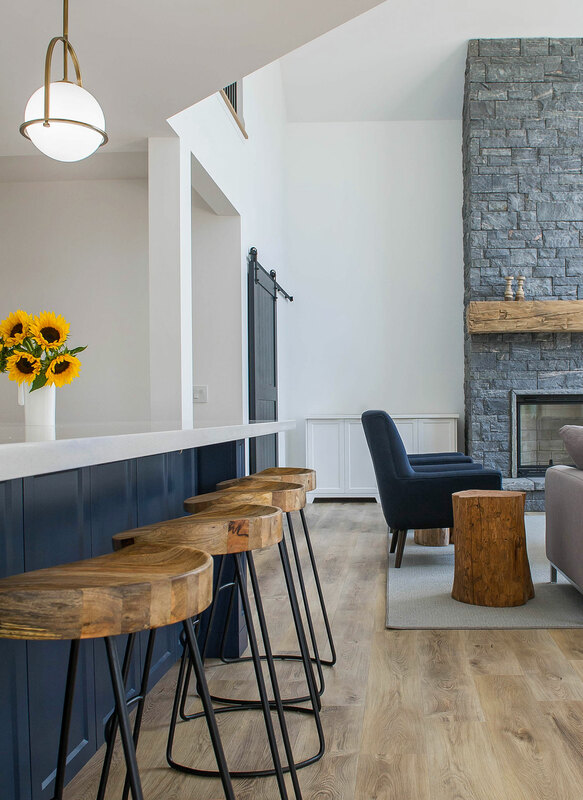 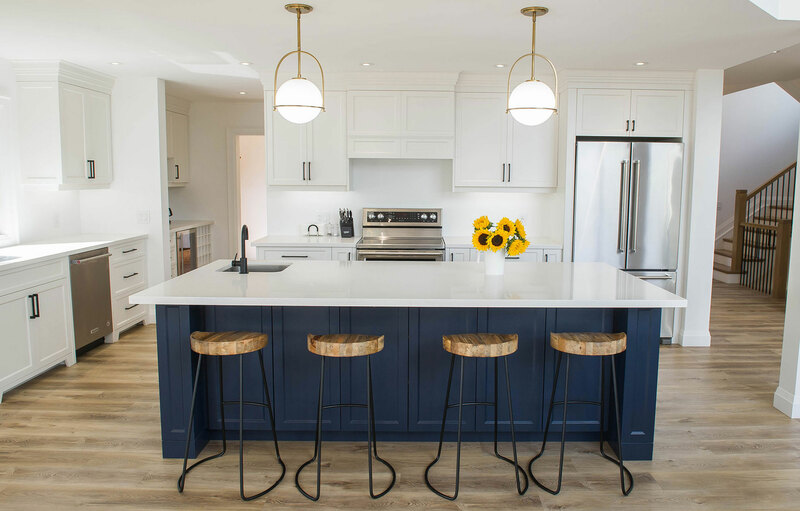 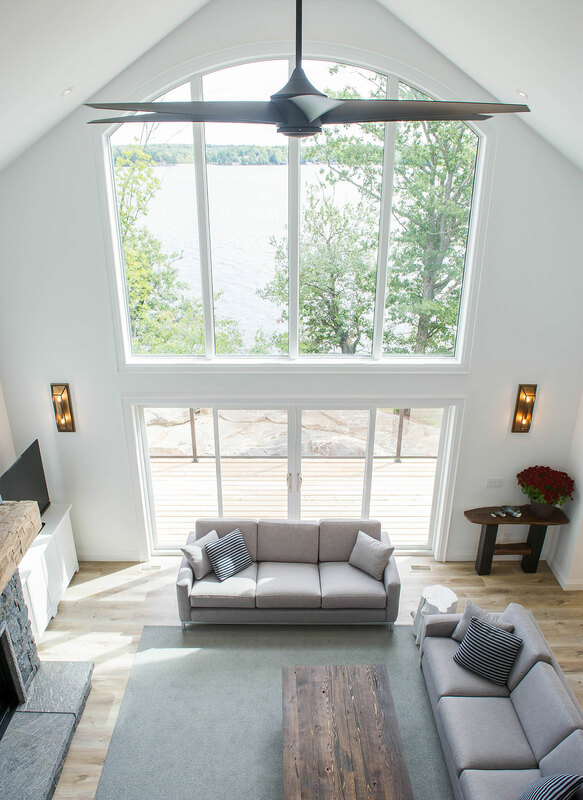 Bursting with craft to enhance true Muskoka living, the vision for this Lake Muskoka custom build was to bring family to the forefront of every day living. 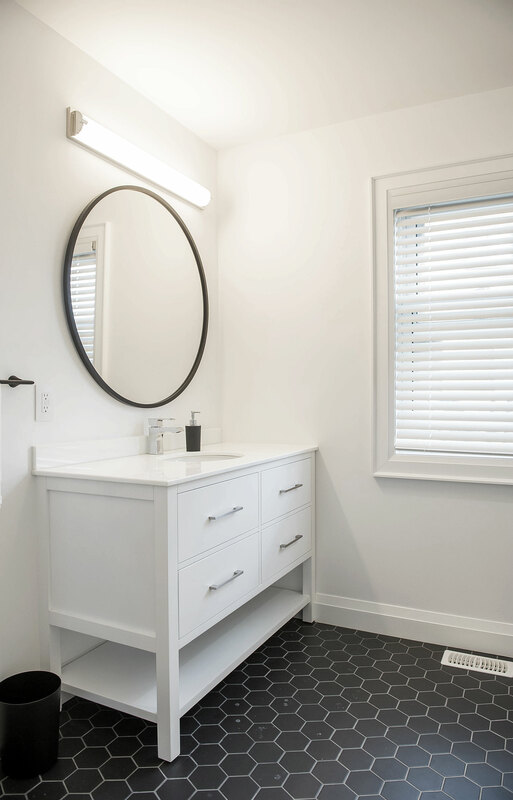 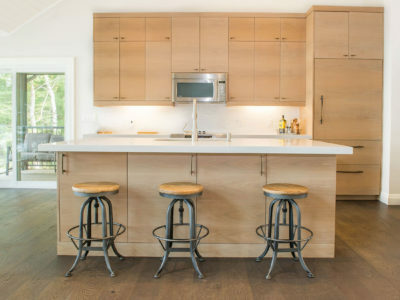 Classic, timeless, modern and clean, with a touch of rustic elements throughout. 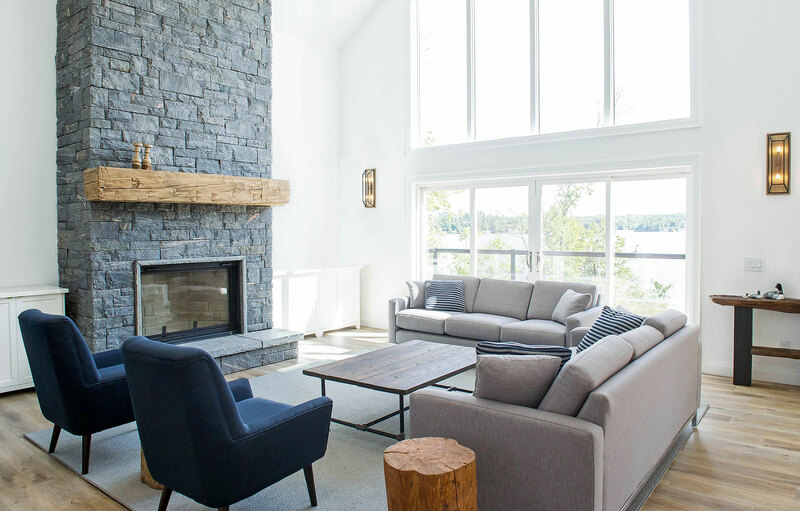 Our client envisioned a streamlined, elegant home that maximized the impact of the glorious views and showcased their love of natural materials. 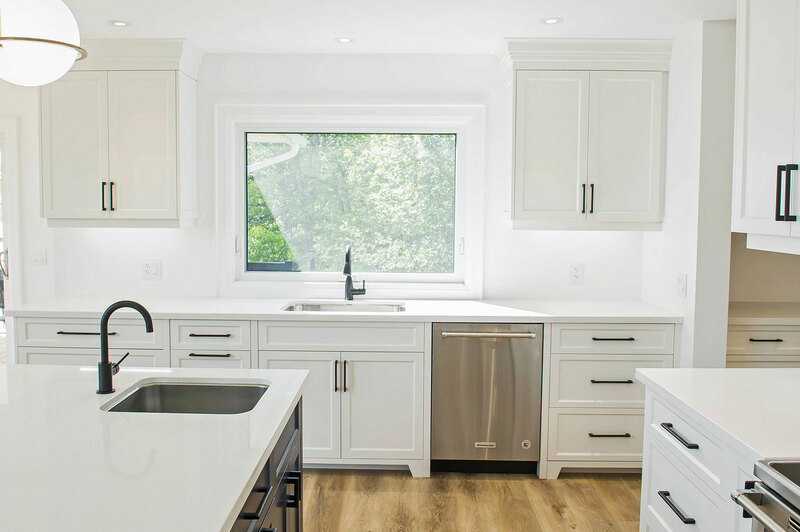 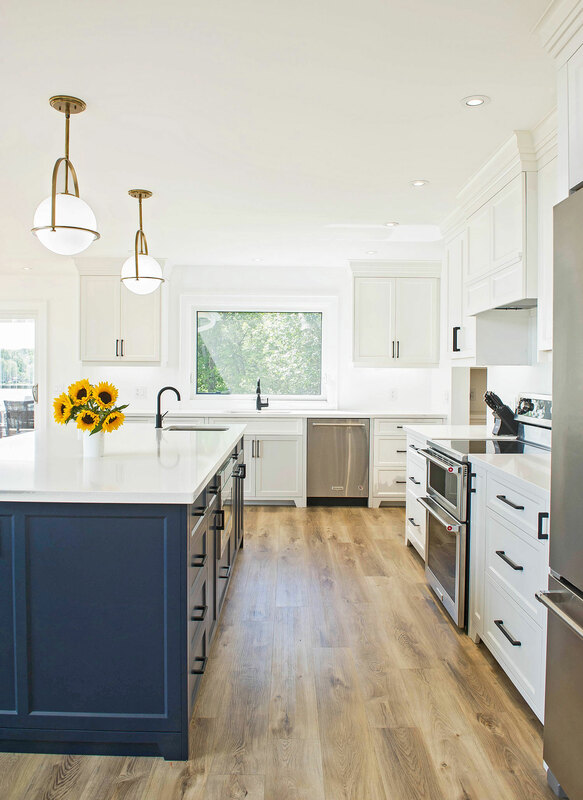 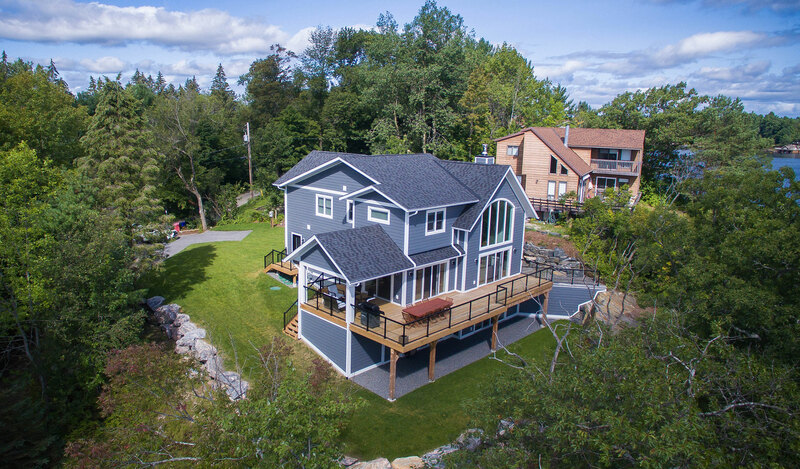 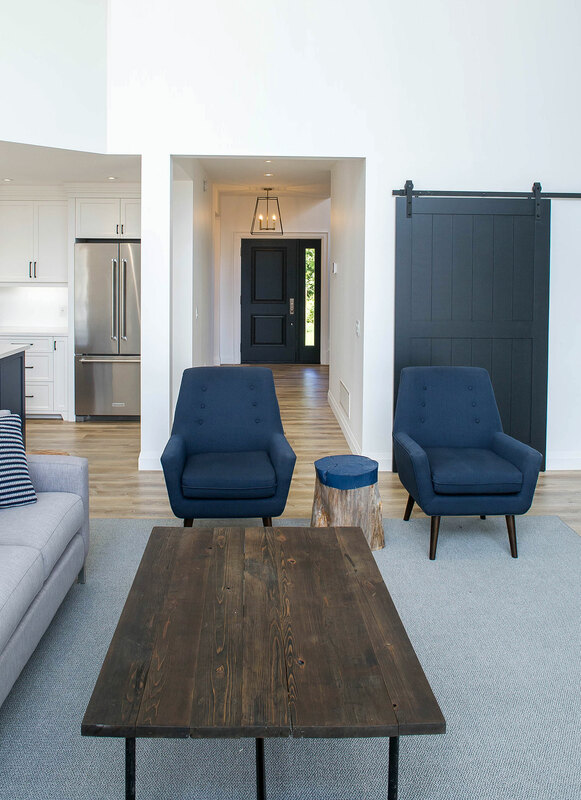 Above & Beyond provided full planning and design services and executed a re-zoning and site plan agreement for the property in order to accomplish the client’s vision for their cottage. 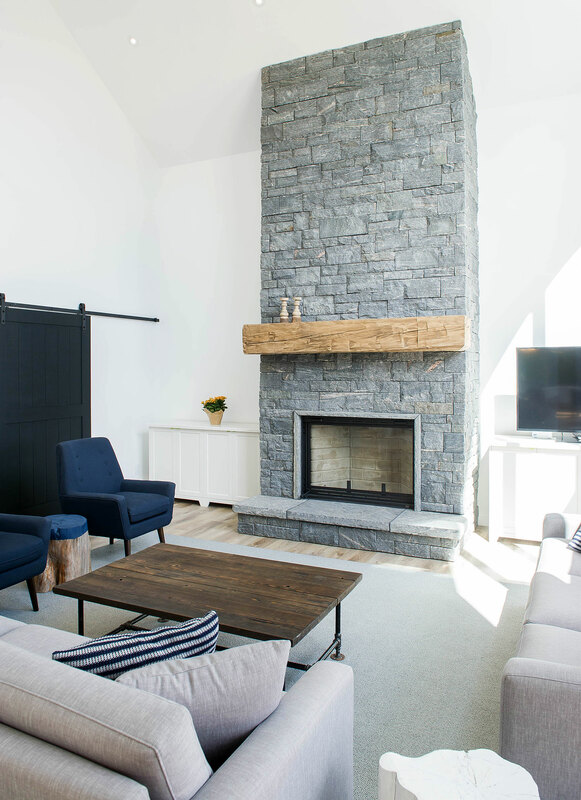 This open-concept space framed with floor-to-celing windows, is defined by a custom stone fireplace, complete with reclaimed barn beam for the feature mantle. 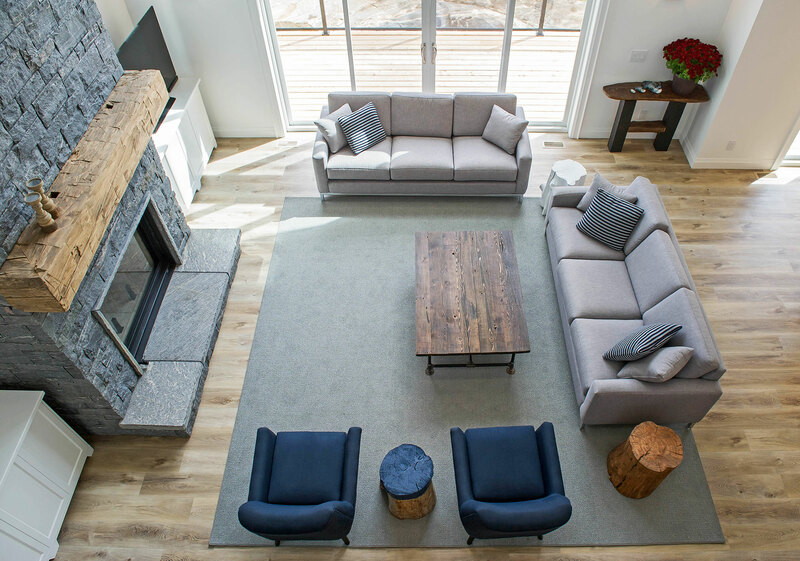 A cool, fresh palette and simple lines bring focus to the fine details and rustic finishes that distinguish this exceptional home. 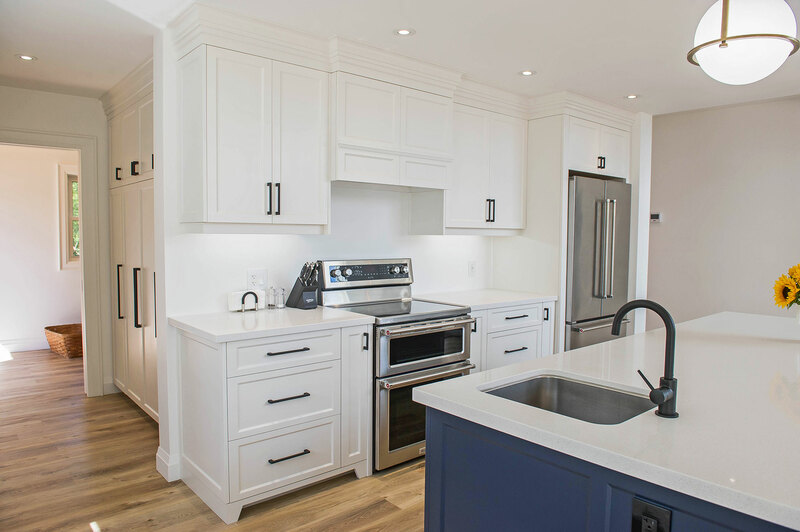 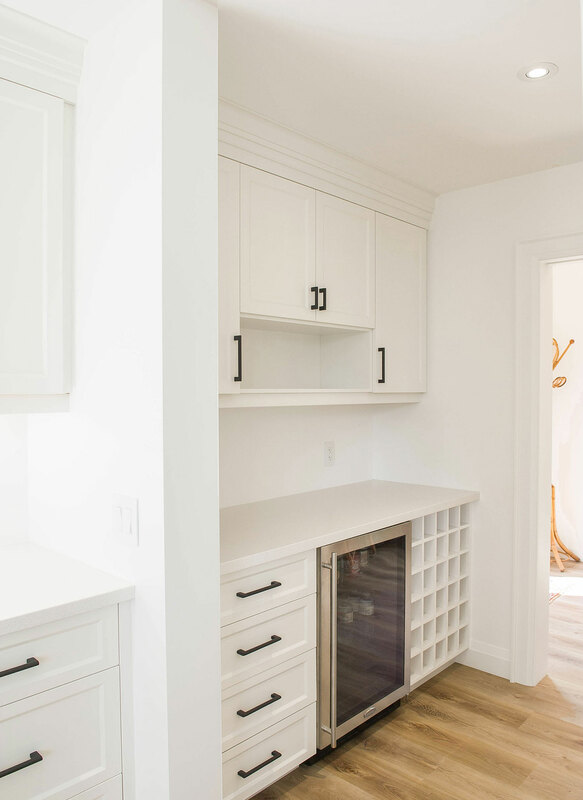 Standout features include custom cabinetry and built-ins, a massive island draped with white granite, and brushed steel hardware. 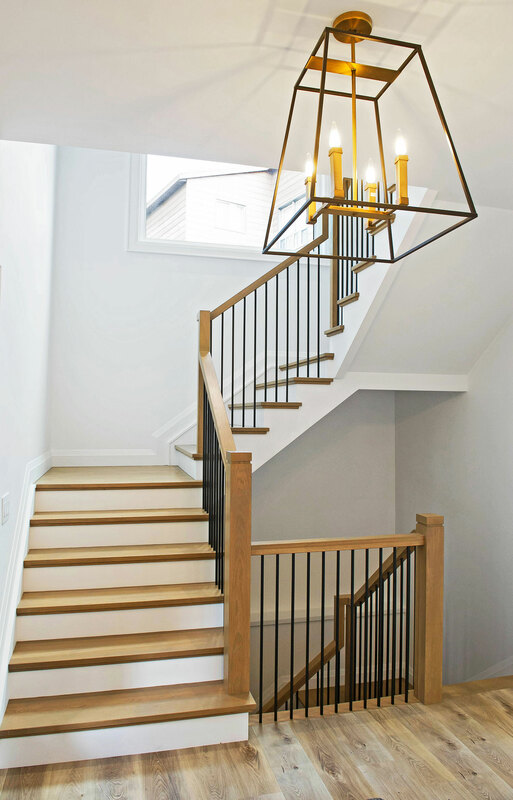 Bursting with craft and fine woodwork, including a graceful, fine-lined staircase, maximize the light that makes this family home so magnificent.